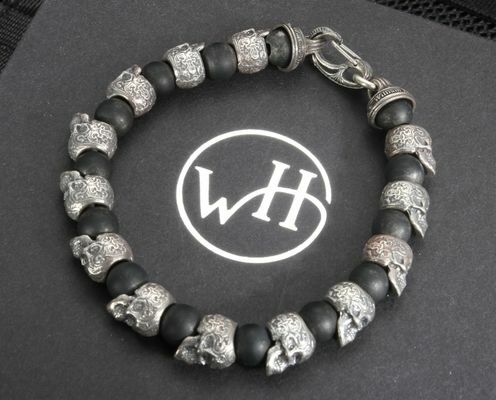 William Henry BB4 frosted black onyx and sterling silver skull bracelet is extremely popular with rock stars and celebrities. Black stainless steel clip makes for a solid and secure clasp. 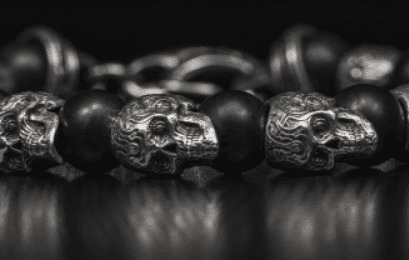 The details in the cast sterling silver skulls is amazing. 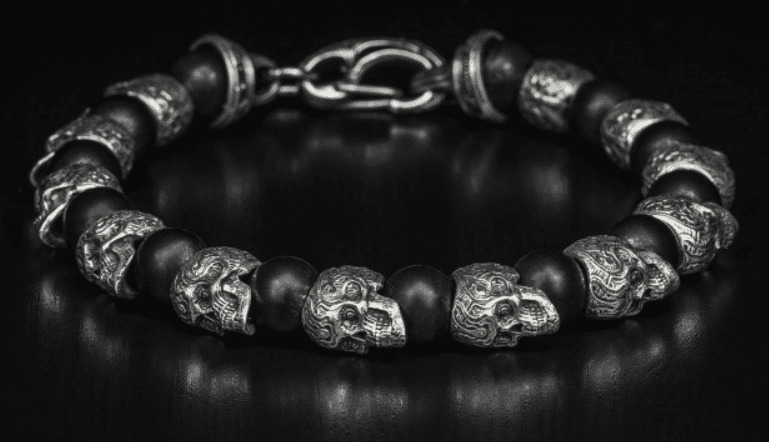 Designed and proudly hand-crafted in the United States, every piece of this collection makes a bold, yet extremely refined statement, and speaks to a strong and masculine personality. This attractive bracelet comes packaged in a presentation William Henry box with a certificate of authenticity.